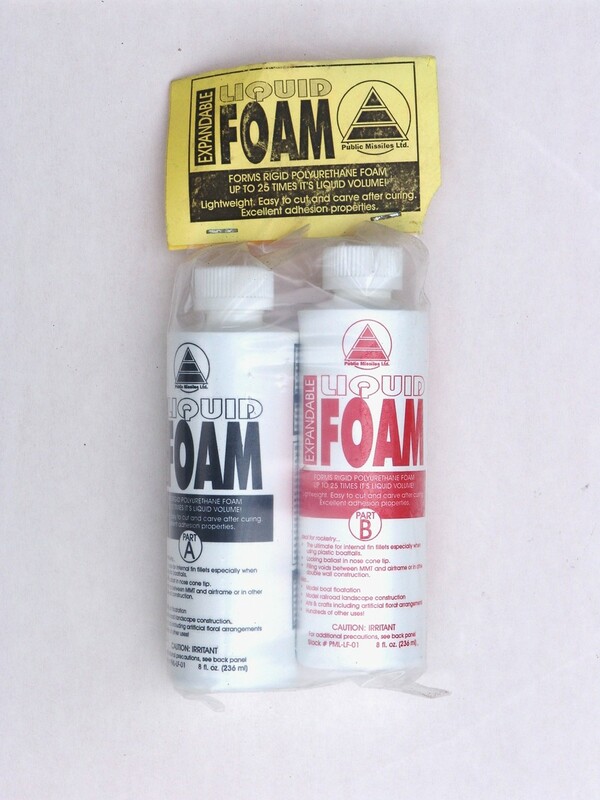 This two-part liquid expanding foam is lightweight, easy to use and expands to up to 25 times it's original liquid volume. Ideal for filling cavities in your engine mounts, holding weight in place in your nose cone and generally strengthening models by filling large areas that can otherwise easily be crushed. Ideal also for model boat applications. Easy to carve and sand with excellent adhesive qualities.